If you are of a curious gastronomic nature, NODAIWA invites you to discover a surprising and excellent dish: unagi (grilled eel). This famous ancestral recipe is one of the innumerable hidden faces of traditional Japanese cuisine and only experienced cooks know how to bring out the flavor of eel. 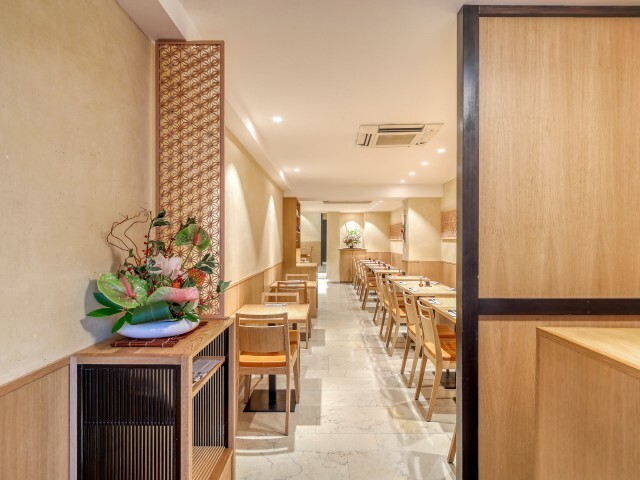 Opened in Paris since 1996 in a sober and refined setting, this Japanese restaurant is the antenna of the famous NODAIWA establishment founded in Tokyo at the end of the Edo period (1603-1867) and run by the same family for five generations.